We’re delighted that you’ve joined us, and looking forward to sharing with you 90 days of 15-minute challenges, each designed to help you achieve a sense of organisation, purpose and fun! Before you dive into the program itself, we thought it might be helpful to offer this pre-learning bonus, which will help you to set your intentions for the program, and to begin with a ‘can do’ mindset. All the content for this module is contained in the Pre-learning Starter Kit workbook, which you can download below. This is a 10-minute tele-seminar on developing a ‘success mindset’ to get you ready for the 90 days ahead! We'd love you to join our private Facebook group (if Facebook is your thing) as we'll be using it as a forum for participants in the program. Here, we’ll share the ideas, support and the feedback or stories that people invariably love to chat about when they actively participate in a program like My 15 Minutes. If you'd like to join in, then follow this link to the My 15 Minutes private Facebook group page and request to join. We'll approve your request as quickly as possible. The more the merrier! We've included some extra goodies for you in this starter pack. You'll find a 30-minute teleclass we recorded, along with a downloadable PDF with some 'taster' activities you may like to 'give a whirl'. It's called "7 Things you must control before they control you". Here is a 10-minute tele-seminar on developing a ‘success mindset’ to get you ready for the 90 days ahead! This is a 30-minute teleclass we recorded called "7 Things you must control before they control you". This accompanies the downloadable PDF with some 'taster' activities you may like to do. This is a downloadable PDF with activities for you to put into action, which accompanies the downloadable 30-minute teleclass called "7 Things you must control before they control you". Some ideas and approaches to keep in mind throughout your program (and beyond!). A simple checklist to help keep you on track. This is our popular guide for you to download: 'Great Expectations - Clever Ways That We Excuse Ourselves From A Life We'd Really Love'. There’s so much that you will accomplish as you follow through this course, and some aspects may be more important to you than others. What are your top 5 most important areas for development during My 15 Minutes? If you begin the transformation in these key areas over the course of this program, what will that mean to you? Thanks for sharing your goals for the program – they sound achievable. So glad you are here, and thanks for opening up about the struggles you’re facing. We hope this program, with its ‘bite-sized pieces’ will help you gain a sense of feeling more on top of things. As we say to everyone who starts the program, what’s important is making little changes, step-by-step. If you happen to miss tasks here or there, be gentle with yourself and know you can catch up at any stage. We’ll be sharing videos as we go through in which we chat about things like ‘overwhelm’. The one goal of putting steps in place to make things feel easier for yourself is a wonderful start. Are you currently being treated for depression via your GP? Yes, I am being treated. Have also seen a range of psychologists, a psychiatrist, tried different medications, spent a few months working with a Naturopath etc etc. Still not sure if i have found the right thing for me. One very hard part is that it started as PND and I am so scared to have another child and go further backwards again and need to somehow come to terms with that. 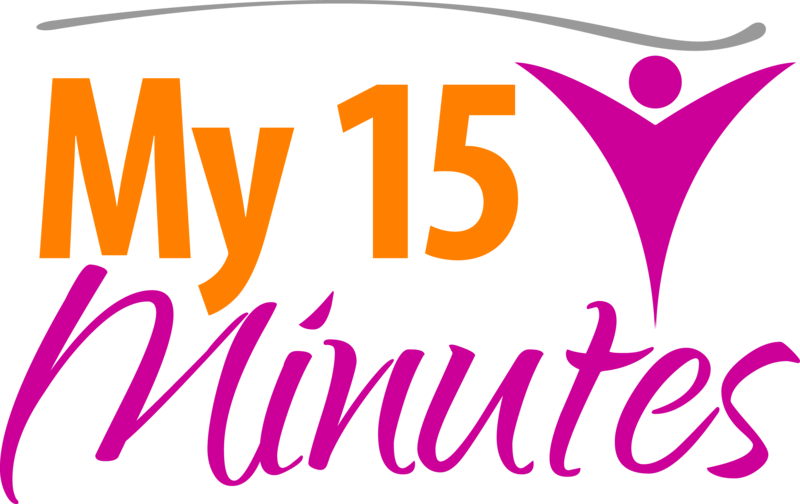 Please contact us at support@my15minutes.com.au if you need any assistance with your membership / program.